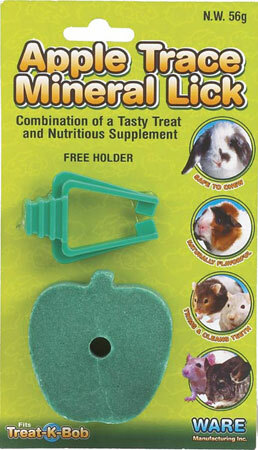 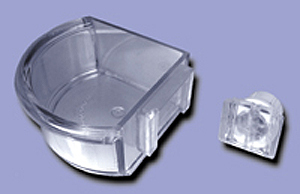 Apple Flavor Mineral Lick with Holder by Ware Mfg. 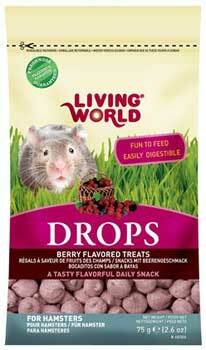 Living World® Field Berry Drops for Hamsters are tasty morsels enriched with minerals and vitamin C. The Drops can be used as a general daily treat. 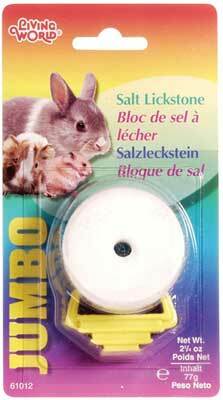 They can also be used as a training aid, inserted in treat balls for behavioral enrichment to prevent boredom, or broken up and scattered to induce natural foraging behavior.